FLOATING PEACEFULLY through the waters of the San Juan Islands, Roger and Patty Stewart are either busy tending to their passengers, their boat, or simply admiring the view. As captain and crew of the Gallant Lady, a 60-year-old cruise boat that is a favorite among long-time vacationers in the Puget Sound area, there isn’t much time to reflect on the past — and the very, very different life the couple led seven years ago. In 1997, the couple were running Osborne & Stewart Jewelry in Centralia, WA. Their business was growing. Cash flow was healthy, as the couple had finally overcome the typical jeweler’s primary cash-flow killer — over-reliance on Christmas sales. But they knew something was wrong: something that was very difficult to admit. The fact was, they were bored with their business. At the same time, the Kmarts and Costcos of the world were beginning to have an impact on customers’ perception of jewelry. “Seiko was selling ‘import models’ through Kmart at $59 apiece,” says Roger. “Never mind the gold plating, the erratic movements, or the almost-nonexistent warranties. They made our $129 Seikos look way overpriced.” Similarly, the Stewarts, as the only repair shop in town, saw the inferior quality of big-box jewelry firsthand. “People would bring in rings, and the gold was so thin that we couldn’t resize it,” adds Roger. “And the prongs were often sticking straight up in the air.” Price was all the rage. Quality didn’t seem to matter. And the Stewarts’ frustration was mounting. When their youngest of three sons graduated college in summer of ‘97, it seemed as good a time as any to get out. They had good income from a tract of land that was used for logging, as well as their building, which had 17 tenants. It was time to enjoy the fruits of their labors. With a solid plan for their life after jewelry, they now needed a plan to go out of business. They turned to Mike and Bill Kmet of North Coast Jewelry. The brothers recommended a 60-day strategy with staggered discounting (based on merchandise age) that would increase as the sale went on. “We discounted our ‘dogs’ at 70% off immediately,” says Roger. “Some of the less aged merchandise was discounted at 30-40% off, and so forth.” Each week, they advertised what categories and items would be discounted even further. It worked. When it came time for the final GOB sale, which was scheduled for eight weeks, the Stewarts objected to the hokey signs that the Kmets pasted up in their windows, covering them entirely so that people could not see in from the outside. And they gasped over the proposed ad budget for the GOB sale — which was more than they typically spent in a year. But they went along with the suggestions … and were glad they did. The closing was a whirlwind, with no time to think or even catch a breath. And when all was said and done, the results were beyond their wildest expectations. “We had only a shoebox worth of stuff left when it was all over,” Roger says. During the two-month sale, the company did almost two years’ worth of business. The Stewarts were able to buy the Gallant Lady outright for $180,000, put a new roof on their building for $60,000, and still have upwards of $160,000 of remaining profits from the sale. Returning to the San Juan Islands on the U.S.-Canadian border each year, the Stewarts often stop to visit with celebrities, including Prince William, Ted Danson, and one former frequent visitor to the islands, the late Johnny Carson. One of the many islands is owned by Gene Hackman. “It’s like boating in a big bathtub,” says Roger of the peaceful waters, protected from harsh weather by surrounding mountain ranges. However, the transition from store owner to sea captain did not come without some hitches. “I had no idea what I was getting into with Coast Guard inspections, licenses, and training,” says Roger. Fortunately, the former skipper of the boat stayed on an extra season to train the new owners while Roger earned his captaincy through the Merchant Marines. Roger adds that many people don’t realize that in times of national emergency, he and other captains like him can be called into active duty, because they are licensed through the Coast Guard. “During Desert Storm, 60 captains of my rank were called up,” he says. While their income is not what it was back in the days their jewelry store was going strong, the Stewarts only have to work five months a year, and the venerable boat is booked well ahead of time. “I make more in a single three-day weekend than I used to make in a month of teaching,” says Roger. They also have the flexibility to visit their family often. More importantly, they can now take advantage of something they thought they’d never have: Christmas vacation. And as Patty says, “Would you rather be in a store six days a week, or out in the sun, on the water?” All a matter of perspective. — TRACE SHELTON. THE YEAR WAS 1993, and John Parrish should have been sitting on top of the world. He was working in the family business, Parrish Jewelers of Searcy, AR, which his father had founded. But in an unusual arrangement, the family had two separate locations in the same town — which allowed Parrish to enjoy the best of both worlds. He had the support of his family, and also the autonomy that’s frequently lacking in a single-location family operation. Even better, 1993 was the year that Parrish got married. From the outside, he was the picture of small-town success. But inside, cancers were eating away at the family business — which would eventually die, of very natural causes, in 1998. R.I.P. The decline started, Parrish remembers, in 1993. 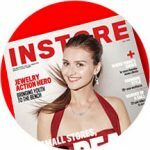 Most jewelers will recall the competitive pressures that retailers all over the country were facing at the time — a weakened economy, a dearth of qualified help, as well as the paradigm-shifting rise of big-box mass-merchants like Wal-Mart. These behemoths of retail spared no small business, including Parrish Jewelers, whose bread and butter — the $300 and under wedding sets — they were now infringing on. “These sets you could mark up and make money on,” says Parrish. Many retailers decided that their glory days were gone … and weren’t coming back. One of those was Parrish’s father, who decided that, with tough times ahead and likely to get tougher, it no longer made sense to have two separate Searcy locations. So he retired, closing one of the family’s two stores, and leaving John in charge of the second, a 3,600-square-foot store in a strip center right next store to a J.C. Penney. The closing of one store, though, was the least of Parrish’s problems. The newlywed was given a surprise wedding present from his two-person staff. They quit. “I couldn’t believe it. They gave notice and soon I was faced with working alone, keeping everything together until I hired replacements,” Parrish says. Parrish found himself working in six days a week and more than 10 hours a day. Replacements were easy to find. But quality replacements were not. “I couldn’t find anyone over the age of 30 to come work in retail,” Parrish says, admitting he was really tired of supervising inexperienced, and frequently irresponsible, 20-year-olds. So he kept on working the brutal schedule, day after day, year after year. He was surviving, but something was definitely missing. “A life!” Parrish says adamantly. The young jeweler was clearly burning out and began getting a gut feeling that this rough patch he was going through might not be a temporary phase. You know, one of those “down periods” that makes the delicate dance of life so rich and rewarding. While his business had definite assets — loyal clients and a great location— the competitive pressures continued to chip away at his both his income and his sense of hope. The squeeze he was already feeling became even tighter with the rise in the late 1990s of the Internet. There seemed to be no answer for his problems … aside from working a little bit harder and eating a little bit less. Finally, in 1998, something clicked in Parrish — or perhaps you would say, it snapped. “I just got sick of it,” Parrish admits. “I decided then to get out and get out quickly,” he says. But what would he do? After all, jewelry retail was the only thing he lived and breathed. Parrish wasn’t disturbed at all by the fact that this was the only life he had known. In fact, he was calm and peaceful. Armed with the healthy attitude that all of life is a series of changes, Parrish began calling upon his wholesale and manufacturer connections and began plotting opening his own wholesale business. When news hit the community that he was closing up shop, no one believed it. “No one took me seriously. Here I was only 42 years old and telling people I was going out of business. They all said I was too young to do such a thing,” Parrish laughs. 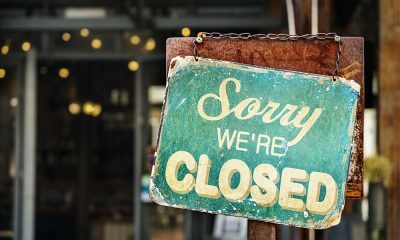 The idea of someone so young getting out of business was just not the norm, especially shutting down a family business. After all, family businesses only close when the owner retires well into his or her 70s — or if the owner dies. Shutting down at 42 years old? Unheard of. “I would joke with people and tell them that I was going to become a house-husband,” he laughs. In the three months it took to close the store, Parrish noticed something very interesting. After the first two weeks he was no longer seeing his loyal customers. “The remaining time was all new customers, mostly women buying on credit,” he says. Within three months the business, which averaged a half million in sales, closed forever. Though he maintained a show of bravado during the closing days, Parrish admits it was hard shutting the doors the very last time — leaving a job he had done most of his life. While still in the industry, Parrish now sees his role as an educator to jewelers. “I can now teach retailers how to make profits,” he says. His biggest crusade is getting jewelers to take back their business from the young people who are bullying retailers with Internet diamond price quotes. “Too many jewelers are shaking in their shoes when these customers come in. That should not be,” Parrish says. We shall see. — DONNA FRISCHKNECHT. SAY “PROPERTY TAXES”, “average per capita income”, or “intergovernmental cooperation” and most people’s eyes glaze over. But Andy Lampe’s light up. As Lampe, a county commissioner of Washington’s Okanogan County, discusses local politics, you hear a man who is passionate about the people he serves and determined to represent them with integrity. But he learned about passion and integrity long before taking office — he learned them in a jewelry store. Once he called them “customers”… now he calls them “constituents.” For Lampe, his approach to the people he serves is the same. Lampe first started serving the public in 1982, when he and his brother Chuck bought a jewelry store in Omak, WA. This was an important step forward towards building a thriving second-generation business — his mother and father had opened the family’s first jewelry store in nearby Othello, WA, in 1971, and were working there with Andy’s older brother, Mike. Further expansion and even brighter possibilities arrived in 1998, when Andy and his wife Debbie moved to Powell, WY, to open the family’s third location. By this time, the Lampes’ parents had retired and the result was perfect symmetry — three brothers, three jewelry stores. That symmetry would quickly be shattered. First, Mike died suddenly in 1999. Then the following year, Chuck was diagnosed with leukemia (he would eventually pass away in 2003). Which left Andy in an almost impossible position. Chuck was in a hospital in Washington. Andy wanted to be with his family, where he was needed most. But, at the same time, his business in Wyoming was growing solidly at more than 10% per year. Another important issue for the Lampes was keeping the business in the family. They had always had a blood family member running each store, and none of them could fathom allowing an outsider to run a jewelry business with the name “Lampe Jewelers” on it. So the decision was made to consolidate. First, the Omak location was closed in 2001. Then, the following year, the Powell and Moses Lake locations shut their doors forever (the Othello location was closed when Andy’s parents retired). While it felt like giving up on a dream, all of the Lampes — even Del, the man who had founded the business 30 years before — agreed it was the right thing to do. “It was hard to move, but family comes first,” Andy says. He describes the atmosphere at the first GOB sales, held in the Omak store in December 2001, as “a feeding frenzy”. Cust-omers thronged the store, spilling out onto the sidewalk outside. The family was completely un-prepared for the traffic and sheer volume of trans-actions. Says Andy, “We did two months’ worth of business on the first day of the sale.” This inevitably led to some feelings of regret. “You do a lot more volume than ever before, and you wonder why you couldn’t do that regularly,” he says. But he’s glad he did it. As Lampe’s was not a discount store and usually made substantial mark-ups on their jewelry sold, the family was able to offer deep price cuts during the G.O.B. sale and still make a profit on their inventory. If they had sold the business outright to another jeweler, they almost certainly would have had to take a loss on their inventory. Additionally, a jeweler purchasing the business outright would have probably insisted on paying the family in installments. The Lampes’ going-out-of-business sales always put money in their pockets immediately. With one dead brother and another critically ill, the process of splitting up the proceeds of the sales of the business had the potential to be extremely difficult. But it went smoothly. This was, in large part, due to the rules the three brothers and their parents had established when incorporating their business prior to opening up the second and third stores. “We laid out what we would do if one or more of us died, how life insurance would be spent, how shares would be bought up, and so on,” he says. The goal was for the corporation to always be owned by a Lampe, not a spouse or non-family member. All of the primaries signed the document. The brothers had their wives review it through outside counsel and sign off as well. “Chuck went through a divorce in the early 90’s, and the agreement showed exactly what his ex-wife would get. Everything was cut-and-dried, and that made a huge difference, both for that situation and the business closing,” says Andy. In the end, Andy says he was left with a “comfortable sum.” After the sale, Andy and Debbie returned to Omak. They soon bought a building and opened a new business: Lampe Design Center. While the business does some jewelry design and repair, its specialty is unusual techniques like sandblasting and rock etching. Andy says the business is “far more low-key and laid-back” than his previous store. Andy Lampe began his new job as Okanogan County Commissioner on January 3, 2005. While the commissioner’s position is not a full-time job, it’s already proved demanding enough that he’s relinquished his day-to-day duties of running Lampe Design Center to his wife and stepson. “It’s not technically a full-time job … but it is,” says Andy. Having only been back in Omak for a little more than two years, Andy is fully aware of the fact that the Lampe name stands for integrity and service in Okanogan County … in fact, he embraces it. In addition to his duties as commissioner, he officiates high school football and wrestling contests. “I’ve always enjoyed giving back to the community,” he says. He says that his experience in jewelry retail has prepared him well for his day-to-day dealings with the public. “You have to be able to listen, and if you don’t know the answer, you go find it,” he says. But the differences in his new role are equally striking. Says Andy: “When you own a jewelry store, you make the decision based on your own feelings. But in politics, you have to think about everyone. You have to be able to predict the outcome of every choice you make.” Spoken like a true man of service. — TRACE SHELTON. TIGHT CASH FLOW. Underachieving employees. The demands of being “on stage”. Like an ox pulling a freight train, Doug Anderson carried a jewelry store on his back as long as he could … and then he got out. After 22 years as owner and manager of Anderson Brothers Jewelers in McMinnville, OR, Doug had experienced his share of success and come to love the inhabitants of this small town 40 miles southwest of Portland. But with the last of his daughters graduating from college, he saw light at the end of the tunnel. It was time to leave the jewelry business for good. A third-generation jeweler, Anderson began his service-oriented career not in jewelry sales, but as a high school math teacher. He quickly grew tired of having to discipline unruly students, and talked his father into buying another jewelry store in McMinnville. Anderson became the manager of Anderson Brothers’ third location. Eventually, he bought the business and ran it until 1999. To the pressures of running such a business, add the costs of putting three daughters through college — at private schools. 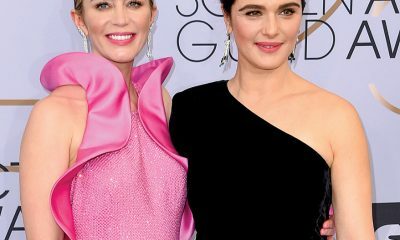 A divorce in the early 1990s left Anderson responsible for child and spousal support, which siphoned half his income every month. For two back-breaking years, all three children were in school at once. He was ready to offload the store… but he couldn’t afford to. “I hung on for about three or four years after I was ready to go,” says Anderson. “It was the only way I could produce enough money to get my daughters through school. I couldn’t abandon that reliable income for the unknown.” In late 1998, the impending graduation of his youngest child gave Anderson the green light. He knew his time had come. In his search for an outside agency to help take the company out of business, Anderson contacted Mike & Bill Kmet of North Coast Jewelry, whom his sales reps had recommended. Other GOB specialists from around the country estimated that Anderson Brothers could do $300,000 in sales over the 60-day closing period. “With the help of the Kmets, we did over $500,000,” says Anderson. The decision was made to run the GOB sale during the holiday season, from November 1st through January 5th, when customers were already in the mood to buy. Anderson didn’t initially believe that the store would be able to consistently do huge numbers over the course of the sale, but he trusted North Coast Jewelry, as they had already been through the process many times over. “The quality of merchandise that Mike and Bill brought in was totally appropriate for our business,” he says. “They also handled all the media buying, using radio, cable, and newspaper. All I had to do was show up and count the money at the end of the day.” He had no idea how much to expect. But when all was said and done, Anderson took home $175,000 after expenses. He was 52 years old. “Some of my ex-employees think I’m a millionaire now,” he laughs. Nevertheless, like many jewelry store owners, one of his favorite things in life is being of service. “I’m glad I’m in a position that keeps me in public view so I can interact with people,” says Anderson. Still known as “Diamond Anderson” around town, he gracefully bows out of the requests he still gets for appraisals. But he does continue to provide one teeny-tiny service from the old days. “If a co-worker or friend gives me a watch, I make sure they get a free battery,” Anderson admits with a smile. “I keep a stash of batteries at home, and when I run out, I reorder.” Even though he doesn’t make a dime on it and can no longer profit from their good will, he still enjoys making people happy. “In fact, I just changed one for my boss this morning!” he chuckles. Six years since he sold the business, the two things Anderson misses most about owning a jewelry store are the “rush” of making a big sale, and the happiness of young couples after purchasing one of his pieces. Although he’s no longer active in the industry, he still maintains four or five suppliers and sells about a half-dozen wedding sets every year to children of former customers or church contacts. Other than that, Anderson is enjoying his time away from jewelry sales, catching up on his reading and improving his golf game. He has since remarried and travels often, visiting his daughters as often as possible (all three live out of state). With the world off his shoulders and at his feet, Anderson has never felt so free. 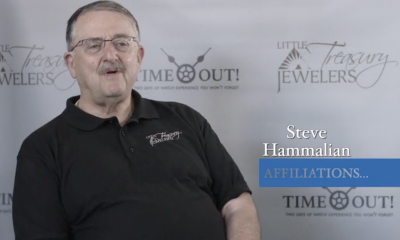 His advice to jewelers thinking of going out of business? “Talk to lots of people who specialize in it, and pick someone you’re comfortable with that comes highly recommended,” he says. He adds, “Everything’s going to be okay.” Or, if you’re like Anderson, it could be even better. — TRACE SHELTON. BREATHE IN. BREATHE OUT. Breathe in. Breathe out. One can only imagine this to be the thought that runs through Ruth Fitzgerald’s head each day when she opens the door to her “unstore” the cozy, living-room-like environment where she now sells her creations to customers on an appointment-only basis. Located in an office complex near the posh Town Center shopping center of Laguna Niguel, CA, Fitzgerald’s store, Jewelry Design By Ruth Fitzgerald, is low-key but opulent. More like a European boutique than anything typically found in America, every detail oozes tranquility — from the rich mahogany furniture, to the Oriental rugs arranged just-so, to the hand-painted fleur-de-lis stenciling. All in all, it’s a far cry from Fitzgerald’s go-go retail days, when she ran Fitzgerald’s Jewelers in a much bigger location nearby. “There definitely is less stress here,” Fitzgerald says. The peace in her voice sends a clear message: traditional retail is not the only path to success in the jewelry business. And Fitzgerald should know, because she tasted genuine success during her career in mainstream jewelry retail. And while it was sweet, that success ultimately left a bad aftertaste for this former Midwesterner with a discriminating palate. Fitzgerald moved to the West Coast and opened the doors to her thriving Fitzgerald’s Jewelers in 1997. She arrived in the Laguna Niguel area with a decade of jewelry experience under her belt, having already operated a small design studio in the Chicago area. Formerly the president and CEO of an economic development company, Fitzgerald loved the jewelry business. And she believed that her move to California would consummate the love affair – as she moved from small design studio to a full-fledged retail store. It was a “major” store, Fitzgerald recalls, with 1,500 square feet of space and 15 showcases. Decorated in shades of beige, blue and gold, the store was upscale and the inventory reflected that. Fitzgerald’s showcases featured many name designers, as well as her own creations, not to mention a massive selection – nearly 500 pieces — of high-end giftware from famed manufacturers like Llarado and Waterford. Her business struck a chord with upscale clients in the area, growing steadily at 10% a year. Yet, Fitzgerald wasn’t happy. The long hours, the fast pace, not to mention the advent of Internet retailing which made selling diamonds harder, made her desire for the “good old days” stronger and stronger. While she had always intended to eventually go back to running a small design studio, the desire to get out of her bigger retail store came sooner than expected. She knew it was time to make her move. However, the transition from retail store to design studio was not going to be easy. First, the jeweler began a year in advance scouting out the perfect location for her new venture. She didn’t want to leave Laguna Niguel or the Town Center area that offered the perfect combination of shoppers and business people. “People are creatures of habit, so I didn’t want to go to far from where Fitzgerald’s Jewelers was,” she says. Fitzgerald soon found a ground floor corner office in a nearby complex with a private entrance that would allow clients to drive up to her door. She was also pleased with the atrium in the building that could be used for hosting parties. “The space was definitely less complicated for people to get to me,” she says. The real challenge, though, awaited her. Fitzgerald didn’t want negative rumors as to why she was closing to hit the streets, so she did all she could to explain her transition from retailer to private design studio owner. In spite of all her efforts to educate, some customers didn’t quite get it. “They didn’t seem to understand that I was making a change in the way I was doing business,” she says. So, in 2003, just six years since opening her store, Fitzgerald hung the “Going Out of Business” sign in the large front window of Fitzgerald’s Jewelers. The going-out-of-business sale, done by Wilkerson and Associates, took about eight weeks. Overall, the process went smoothly, she remembers. When the sale finally ended, Fitzgerald went right back to work. In the span of a week, Fitzgerald’s Jewelers was no more … and Jewelry Design by Ruth Fitzgerald was open for business. By appointment only, of course. As a proud new “homeowner”, Fitzgerald unveiled her new concept and new format by holding an open house for her former clients. Instead of a traditional store, now her store looked like a European parlor. Instead of 15 cases, there were now only two. And instead of numerous brand-name designers, there remained only one: Ruth Fitzgerald. Clearly, her customers were pleased – as Fitzgerald’s business has grown in double digits in each of the past two years. While she may have “downsized”—going to a smaller space with three staffers as opposed to six in her store—her sales and her clients have super-sized. “I am getting a more upscale client than I did in my store,” Fitzgerald says, explaining that being able to cut the overhead has helped her offer better quality merchandise at non-retail prices. Technically, Fitzgerald’s un-store is by appointment only but two years later regular clients will still drop by. “We welcome them to sit down and make themselves comfortable until we can take them and they don’t seem to mind,” she says. Yet with customers waiting, the stress she said that existed in traditional retailing is just not there in her design studio. Fitzgerald is able to create and sell without the retail frenzy. As for the retail hours she had hoped to bid farewell to … well, that has yet to materialize. “I said I was going to work less, but I find myself still working more than I intend too,” Fitzgerald laughs. With Monday and Tuesday her days “off” in her design studio business, she actually spends those days creating jewelry and meeting with her bench jewelers. But that’s just fine with her. After all, when you are doing something you love, who watches the clock? Fitzgerald’s exit from traditional retail to design studio has given her a less-hectic pace life. She has returned to her true bliss … breathe in, breathe out. — DONNA FRISCHKNECHT. Another former retailer who has gotten out of his store — and we mean way out of his store — is JEFF FIEBIG. A second-generation jeweler who spent his younger days touring gem mines in Brazil, Tanzania, Zanzibar and South Africa, Fiebig eventually took over the family business in Sturgis, MI, and ran it for more than 10 years. But he began chafing at the restrictions of retail life … in general, wanting to resume his gemstone-hunting adventures; and more specifically, wanting to source gemstones from Madagascar, while at the same time helping the people of that impoverished, but gem-rich, country. In early April, Jim will head off to Madagascar to establish a bank account and find a house for himself and his wife, JoAnn. 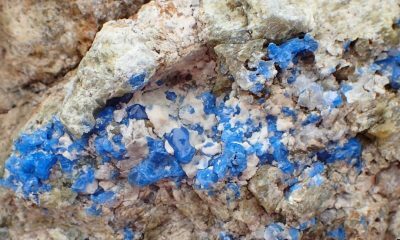 They will live there until October of this year, working in the gemstone market and hosting small groups of Americans who want to come for gem-buying and tourism. In November, he will return to the United States for six months, offering in-store consulting to help jewelers benefit from his 25-plus years of building a profitable colored-gemstone business. If you’re interested in travelling to Madagascar or supporting Fiebig’s efforts, call (269) 651-3190 or visit his web site at www.jamesfiebig.com.